Hugo Chávez meets István Mészáros in 2008 to sanctify two stage revolution and socialism in a single country in Beyond Capital; Cliff Slaughter meets István Mészáros and his Stalinist ideology in Not without a Storm in 2006 and many other works. This document is an excerpt from In Defence of Trotskyism No. 2, Summer 2011, which deals with the Movement for Socialism, which was a successor organization of the WRP (Workers Press). It recounts how the MfS renounced Trotskyism via the Stalinist István Mészáros, author of Beyond Capital. In the Swamp they will meet more neo-Kautskyites like the MfS. We now turn to the leader of this current, Cliff Slaughter. 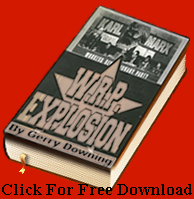 Gerry Downing has produced the only political analysis of the Slaughterite WRP from the split with Healy in October 1985 to 1990 in his WRP Explosion book available online by googling “Gerry Downing’s documents” on Scribd. Two central points of that account need emphasising now. As the period of open discussion came to an end in the WRP/Workers Press in 1986 the leaders began to assert that ‘the miners were not defeated’ in their great strike of 1984-5. The political content of that idiotic assertion was that there were no questions to be asked of Arthur Scargill’s leadership of that strike. Healy had banned even tactical criticisms (which was all there was) of Scargill in the pages of the News Line after the Mansfield demonstration in May 1984, less than three months into the strike. He subsequently enforced the withdrawal of the WRP members from the Miners’ Support Groups. Via the News Line he then slandered the initiative of Malcolm Pitt, the Kent miners’ leader and the group campaigning for justice for Colin Roach, in calling a joint meeting of the NUM, the PLO, Sinn Fein and the Black community. This was an attempt to discredit the NUM by associating them with terrorism charged the News Line and he further implied that this was the work of police agents operating in the justice for Colin Roach campaign. Of course, this had deadly consequences for the WRP’s relationship with the Black community. It indicated a narrow capitulation to Scargill’s bureaucratic approach (however left-wing that was) and a rejection of an orientation by the WRP to the wider social issues that the miners’ strike raised; the identification of the miners’ communities under siege in Yorkshire in particular with the republican communities in the north of Ireland and with the Palestinian masses in the West Bank and Gaza, the women’s support groups and the lesbian and gay communities and the Black community, all now so encouraged to fight for their rights with increased confidence because the socialist millennium hovered into view. What better time to raise these questions forcefully than in 1984-84, how brave of the ‘Stalinist’ Malcolm Pitt to raise these issues in this way and how cowardly of Healy and the WRP to sabotage this initiative. WRP stewards were attacked and hospitalised at a Young Socialist disco in Mile End by outraged supporters of Colin Roach because of this. The second was the equally ludicrous assertion that “Stalinism was the most counter-revolutionary force on the planet”. Once that position was accepted by the group its pro-Imperialism was established. Details of its evolution since then are available online but for political analysis, we turn to Slaughter’s Not without a Storm, Index books, 2006. The general political and theoretical level of the book from the man who was once correctly regarded as the WRP’s chief theoretician is abysmal. Comparing it to Counterfire’s John Rees’s Algebra of Revolution (Routledge 1998) for instance, it is obviously several leagues below the standard necessary to train new layers of revolutionary cadre. In fact, as we shall see, its purpose is to reject revolutionary socialism in its entirety and rationalise an abandonment of that struggle. We do not endorse the SWP’s politics but Rees does tackle those issues at the appropriate level and makes many correct criticisms and analyses. A critical analysis and reply to that are obviously well beyond Slaughter’s and the MfS’s ability now given their political orientation. 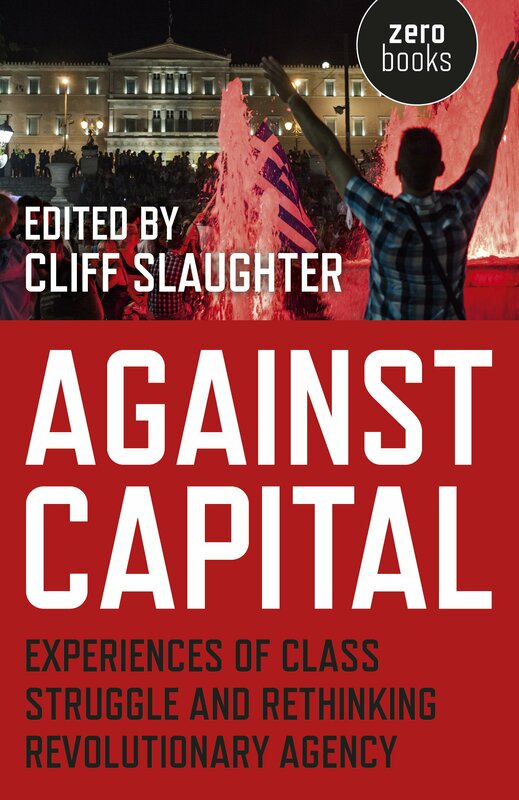 When Cliff Slaughter wrote a reply to the SWP on Lenin’s 1903 What is to be Done? back in the 1970s, he made some excellent points on their politics still relevant and correct today; their economism, tailing of the consciousness of the working class (pay the firemen, dockers, post workers etc, etc), their belief that revolutionary consciousness was produced by strike struggles, etc. When he drew the conclusions on the type of internal party regime necessary for a revolutionary party he ignored the subsequent reassessment that Lenin himself made in the light of the failed revolution of 1905 and the emergence of the Soviets as explained by Marcel Liebman in Leninism under Lenin. The SWP were subsequently to adopt the same bureaucratic centralist internal regime in imitation of both Healy and Ted Grant’s Militant. Internal oppositions and critics are forced out as quickly as possible lest they influence too many, supposedly saving the party from the penetration of ‘bourgeois ideology’ (an impossible task) but in reality, saving it from the problems of internal democracy which might challenge and displace an old and degenerating leadership. Healy should have gone years, nay decades before 1985 but there were no means of replacing him democratically. But genuine democratic centralism is possible, we can forge a regime of ‘seething internal democracy’ as Trotsky described the Bolshevik’s organisational culture, with maximum internal discussion, acceptance of tendencies and factions as a normal part of the conflicts between serious revolutionaries with developed political critical faculties and maximum unity of action to test out the majority will and political judgements in action. Democratic centralism does not have to be bureaucratic centralism. Slaughter begins by declaring that the opening sentence of Trotsky’s 1938 Transitional Programme; “The world political situation as a whole is chiefly characterised by a historical crisis of the leadership of the proletariat” and again “the historical crisis of mankind is reduced to the crisis of revolutionary leadership” was central to their (the old WRP’s) thinking (p. 276). And he then goes on: “and this struggle simply required the replacement of one leadership (the present reformist one) with our own, the revolutionary one, of course”. Of course, this is a serious distortion. In the first quote, Trotsky refers principally to the current existing leadership of the trade unions and the bourgeois-workers parties, and the second quote (after “again”) to the struggle for revolutionary leadership against the Stalinists and centrist groups like the SWP and the Militant/SPEW on how to fight the existing reformist leaders of the mass parties of the working class. The intervening section between the two quotes and the entire TP is dedicated to expounding on the relationship between these two sentences. As the whole of the TP is about how to fight this battle we can see that the WRP practically ceased this struggle in 1974 with the expulsion of its substantial working class base in Oxford, the comrades who later became the WSL. This was the second time they had acquired a substantial working class base and bureaucratically expelled its leadership, the first being the Communist Party base that came with Brian Behan and others after they joined following the 1956 crisis of the Communist Party. The WRP’s leading trade unionists after 1984 were Dave Temple in the North East and Peter Gibson, convenor of the London Buses Committee. Gibson, as leader of the bogus All Trades Union Alliance, was as bureaucratic a leader as any other group produced, scarcely better than the Stalinists. The relationship with Ted Knight and Ken Livingstone was as unprincipled and opportunist as any Stalinist group operated. They even championed the leader of the Steelworkers union, the arch right-wing bureaucrat Bill Sirs, in their unbridled opportunism. That was the meaning of the ‘miners were not defeated’, there was no transitional method operating in the WRP on this; either sectarian denunciations (as David North’s SEP has developed to ridiculous extremes) or opportunist manoeuvres with left and even right Labour party and trade union bureaucrats via the bogus All Trade Union Alliance. This trade union work bore no relationship to Trotsky’s Transitional Programme whatsoever. Cliff Slaughter; from Stalinism to Trotskyism in 1956 and back to Stalinism in 2006 in his book Not Without a Storm. Lenin did ‘bend the stick’ in the manner (but not the essence) of his rejection of the spontaneous development of class consciousness by the working class when he directed his fire against the economists (and the present-day SWP) with his ‘bringing class consciousness to the working class from outside’. However he was not totally incorrect, as Mészáros and Slaughter suggest, he was only one-sided. The economists were totally wrong, he was just half-right against them and he corrected his mistake after 1905. He did come to understand that the Bolsheviks had to ‘merge in a certain sense’ with the working class whilst still sharply posing as an opposite, a revolutionary consciousness opposed to their reformist, trade union consciousness after the unexpected appearance of the 1905 soviets. What is to be Done led them to initially oppose these soviets on Kautskyite politics (not totally capitulate to as the above suggests). They thought that, like Germany and Kautsky, the Bolsheviks would become the ‘party of the whole class’, (thus un-dialectically substituting party for class) and via that party the ideology of the class would advance internally to revolutionary class consciousness. It was a mechanical, non-revolutionary, un-dialectical Kautskyite understanding of the relationship between party and class; it led to absolute disaster in Germany 1919-23 because it promoted an unprincipled compromise with the trade union bureaucracy, increasingly corrupt and pro-capitalist since legalisation in 1890 (though Marx’s The Critique of the Gotha Program showed this had been present since the fusion of Eisenachers and Lassallean in 1875). However history records that Lenin and the Bolsheviks overcame this legacy sufficiently to make a revolution in Russia in 1917. Slaughter’s and Mészáros’s present day formulation of the relationship between party and class is neo-Kautskyite and eminently appropriate to the politics of the Swamp into which the MfS has sunk. Slaughter’s apology to Mike Banda (“I owe to Mike Banda the clear statement of this p278) is a measure of his personal degeneration. This apology is because he now agrees with Mike that “the post war Trotskyists had no perspectives for the revolution whereas Lenin and Trotsky had one (at first different, then in 1917, the same)… even Mao had his for China” is appalling. Mike Banda’s brother Tony famously denounced Trotskyism as a ‘rotten rope’ in 1985 on Mike’s behalf, Slaughter now agrees with him. Ridiculously he proposes that Lenin’s pre-1917 orientation (the revolutionary-democratic dictatorship of the proletariat and peasantry) constituted an adequate perspective for the revolution whereas the truth is the revolution was lost without the repudiation of that orientation and the transformation of the party into a weapon for the overthrow of capitalism via the April Theses. Most shockingly of all Slaughter says that Mao Zedong’s block of four classes perspective was correct in 1949 as against post war Trotskyism. Third world popular frontism trumps post war class struggle Trotskyism, with all their Transitional Programmes and class independence struggles for the overthrow of capitalism (deeply flawed though these programmes were) is the message. No, a thousand times no, the class deserves far better than reformism hidden behind pseudo-revolutionary phrases like this! This ultra-left nonsense was directly responsible for the victory of Hitler in 1933. Although we must say that whatever the Stalinised Comintern intended this objectivism was the leftist basis for a wave of class struggle which did much good work; the London Busmen’s Rank and File Movement was a product of this and so were many other militant workers’ strikes. Many have argued that when these were betrayed by the Comintern adoption of the Popular Front in 1935 many unreconstructed third period Stalinists, like Gerry Healy, became Trotskyists in reaction and in name only. There is only a grain of truth in this claim, in our opinion. What is meant by Mészáros’s ‘structural crisis’? Is this some version of the French philosophical ‘Structuralist Marxism’; “a sociological bundle theory developed by Louis Althusser? Althusser argued that humans have no intrinsic qualities (or essence), but were socially produced accidents. These accidents are the creation of social structures, and describing them allows us to describe both humans and the human condition” (Wikipedia). We are afraid that class society “as corrupt as this” has survived for some seven to nine millennia and will continue to survive until we can marshal the revolutionary forces to get rid of it. It certainly will not fall into our hands because its time is up and it is thoroughly corrupt, like some silly version of the Hollywood movie, The Fall of the Roman Empire. Mészáros has written a huge (1000 page +) book, Beyond Capital (Merlin Press 1995) covering almost every aspect of communism and capitalism so perhaps we will find our answer on how to organise the revolution there? Given our understanding of how important it is to fight the treacherous misleadership of the working class and the fight for a new revolutionary leadership to make new Octobers surely Mészáros will have examined this question in detail in his 1000 + pages? “An attempt to elaborate an exception to the theory was made by Tony Cliff of the Socialist Workers Party (Britain), in his “Theory of Deflected Permanent Revolution”. In his 1963 essay Deflected Permanent Revolution he develops the idea that where the proletariat is unable to take power, a section of the intelligentsia may be able to carry out a Bourgeois Revolution.” (http://en.wikipedia.org/wiki/Permanent_revolution). Unbelievably Slaughter repudiates the entire history of Trotskyism and his own life’s work (deeply flawed though it was) and there was no one left in his group to object. He avers not merely that there were some exceptions to the theory of Permanent Revolution; the entire thing was always rubbish according to our renegade. “… The Menshevik (similar) attitude toward the revolution…: The victory of the Russian bourgeois revolution is conceivable only under the leadership of the liberal bourgeoisie and must hand over power to the latter. The democratic regime will then permit the Russian proletariat to catch up with its older Western brothers on the road of the struggle for socialism with incomparably greater success than hitherto. These terse formulations reveal with equal clarity both the homogeneity of the last two conceptions in their irreconcilable contradiction with the liberal-Menshevik perspective as well as their extremely essential difference from one another on the question of the social character and the tasks of the “dictatorship” which was to grow out of the revolution… The perspective of Menshevism was false to the core: it pointed out an entirely different road for the proletariat. The perspective of Bolshevism was not complete; it indicated correctly the general direction of the struggle but characterized its stages incorrectly. The inadequacy of the perspective of Bolshevism was not revealed in 1905 only because the revolution itself did not receive further development. But at the beginning of 1917 Lenin was compelled, in a direct struggle against the oldest cadres of the party, to change the perspective (i.e. Lenin’s victorious fight for the April Theses).” Trotsky, Three Conceptions of the Russian Revolution, 1939. Slaughter continues, “He (Trotsky) went on to question which classes would solve the task of the democratic revolution and how those classes would relate to each other”. Trotsky did not ‘question’ this but was absolutely sure that only the working class could lead the revolution and it could not simply be a ‘democratic’ revolution but an ‘uninterrupted’, permanent one. He and the Bolsheviks agreed that only the working class could lead the coming revolution because of the small size and belated development of the bourgeoisie and its subservience to both the Tsar and foreign, mainly French capital. On this point, both were equally opposed to the Mensheviks, as we have seen above. As to actually ‘solve(ing) the task of the democratic revolution’ here Trotsky disagreed with both the Mensheviks and the Bolsheviks. To say he “interrogated Lenin’s formulation of ‘the revolutionary-democratic dictatorship of the proletariat and peasantry’ (p281) is wrong. “What would be the social content of this dictatorship? First of all, it would have to carry through to the end the agrarian revolution and the democratic reconstruction of the State. In other words, the dictatorship of the proletariat would become the instrument for solving the tasks of the historically-belated bourgeois revolution. But the matter could not rest there. Having reached power the proletariat would be compelled to encroach even more deeply upon the relationships of private property in general, that is to take the road of socialist measures.” Leon Trotsky The Permanent Revolution, Introduction to the First (Russian) Edition (Published in Berlin) http://www.marxists.org/archive/trotsky/1931/tpr/prre.htm, p5 New Park edition. We can see from the above that the political struggles that eventually culminated in the production of the April Theses which enabled the October revolution are absolutely incomprehensible if the question of the world revolution was not on the historic agenda, if global Imperialism had not advanced to the stage that it had produced a global working class with at least strong elements of a global class consciousness, such that in backward Russia the working class consciously fought for and took power in the name of that world revolution. We are meant to get the impression from Slaughter’s meanderings that Trotsky’s Permanent Revolution was merely a formulation for achieving bourgeois revolutions in backward countries. And all this reduces the struggle to the national stage, Slaughter implicitly denies the global significance of Trotsky’s great insight as Mark Hoskisson has done above, with the same intended result. This is how those dreadful enemies of Slaughter since the mid-fifties, the ‘Pabloites’, have bowdlerised it. And this was also the game that Radek, Zinoviev and later Stalin played in China in the twenties and thirties, the two stage theory that resurrected Lenin’s old formulation repudiated by him in the April Theses, and extended it back and politically reviving the old Menshevism. This was the policy which destroyed the Chinese revolution in 1927 and led to the admired ‘victory’ of Mao Zedong’s theory of the bloc of four classes in 1949. He took power in the name of this bloc in 1949 which politically excluded the working class but he did not institute a deformed workers’ state (with the working class still politically excluded) until 1952-3 when the advent of the Korean war meant the their erstwhile allies in the national bourgeoisie became too unreliable for government. This 1949-53 bloc of four classes was made up of the working class, the peasantry, the urban petit-bourgeoisie and the national bourgeoisie (http://www.marxists.org/glossary/terms/b/l.htm). Those expropriated between 1949 and 1952-3 were only those who had directly fought for the US-backed Kuomintang in the civil war, the landlord class and the ‘comprador’ bourgeoisie, agents for foreign Imperialist interests who were defined as the only enemies of the working class; the ‘national bourgeoisie’ were allowed to remain in control of their capitalist enterprises for about three more years. They might never have been expropriated (the USSR did not expropriate them in Austria post-WWII or in Afghanistan after the 1979 invasion, despite holding state power). This is the Popular Frontist two stage policy still pursued today by the SACP in South Africa via the ANC and by Maoist and other Stalinist forces from Peru to India, Nepal and the Philippines, to give a few examples. Trotsky’s theory of Permanent Revolution provided the basis for the only consistent revolutionary programme for these countries. Well no, we did not learn that at all, those of us who were listening. We learned that the German Social Democrats drowned the German revolution in blood and this caused the isolation of the Russian revolution and its consequent degeneration; the doctrine of socialism in a single country and all the rest were a product of these material circumstances. They would never have arisen had the German revolution continued the forward march of the world revolution. The reciprocal reaction of cause and effect does not mean that we can substitute one for the other at random like this. After 1917 the subjective factor in the unfolding of the world revolution was outside of Russia. And the final insult to the name of Trotskyism: Slaughter explains that bourgeois-democratic revolutions after 1917 were all led by Stalinists (he still cannot handle Cuba) and “it was only via this path – and not via the bourgeoisie – that nationalist capitalist states could be achieved; and that is the historic role the various Stalinist regimes, ‘workers states’ played. They prepared, and effected the transition of the nation to capitalism” (p284). Well there we have it! This implies the Bolsheviks were wrong against the Mensheviks and Trotsky was wrong against Stalin and present-day Trotskyists are wrong against Stalinists everywhere. Stalinism has played a historically progressive role and their opponents on the left deserved what they got for attempting to obstruct this progressivism, as they always claimed – remember Ho Chi Min’s remark on the great Vietnamese Trotskyist leader Ta Thu Thau after he has had him assassinated in 1946 as told by Daniel Guerin: “He was a great patriot and we mourn him … but all those who do not follow the line we have laid down will be broken.” Slaughter has listened to and imbibed whole the philosophy of the Stalinist Mészáros who listened to and learned his ‘Marxism’ from that other more famous Stalinist Georg Lukács, a lifelong loyal Stalinist with only minor oppositional stances, and become a Stalinist himself. We might think how it is possible for the man who championed Stalinism until 1956, then rejected it because of Khrushchev’s secret speech to the 20th Congress and the crushing of the Hungarian Revolution by Soviet tanks in the same year, then embraced what he understood as Trotskyism until 1986, then capitulated to Imperialism by espousing the notion that ‘Stalinism is the most counter-revolutionary force on the planet’ to now become a Stalinist himself once again? Stalinism was a backward nationalist capitulation to Imperialism by the bureaucracy in the first workers’ state and Trotskyism was its opposite, the fight for the world revolution as the only way forward for the world working class leading the whole of humanity out of the impasse forced on it by a decaying world Imperialist system.The manner and form of how individuals and groups like the PR group and the MfS abandon that historic task are mere details and historic accident; we have established this fact by examining these details. In the Swamp Max Shachtman, Raya Dunayevskya, CLR James and Hal Draper mediated through the works of Georg Lukács, István Mészáros, Cyril Smith and Cliff Slaughter now trump Lenin and Trotsky as political models as well as on the intimately connected question of internal democracy and the need for a workers’ state. We must continue the struggle without and against them; that fight will strengthen new revolutionists now emerging to replace them; they will supersede them and annul their failures. The manner and form of how individuals and groups like the PR group and the MfS abandon that historic task are mere details and historical accident; we have established this fact by examining these details. In the Swamp Max Shachtman, Raya Dunayevskya, CLR James and Hal Draper mediated through the works of Georg Lukács, István Mészáros, Cyril Smith and Cliff Slaughter now trump Lenin and Trotsky as political models as well as on the intimately connected question of internal democracy and the need for a workers’ state. We must continue the struggle without and against them; that fight will strengthen new revolutionists now emerging to replace them; they will supersede them and annul their failures. Its original central leadership are right wing in long-term general overall theoretical and political orientation. But it is in fact to the left of the AWL on many issues of the rank-and-file class struggle, as a group whose orientation is towards ‘left communism’ of the type denounced by Lenin in his 1920 pamphlet Left Wing Communism; an Infantile Disorder would be – as Bukharin and others appeared as an ultra-leftist opponent of Lenin from the revolution to the early twenties only to reveal the true content of this ultra-leftism in 1924, he was the Bolshevik leader who was most open to capitalist restoration before Stalin ditched him in 1928. So taking into account the increasing number of other amorphous disorientated tendencies drawn into its milieu, it can only be accurately designated as ‘The Swamp’, but with patches of dry ground here and there. 28 July 1794, 9 Thermidor, (the hot month in the ‘start again’ culture of the Revolution which renamed the months of the year and began dates with 1792 as year zero) when reaction triumphed in the French Revolution with the execution of Robespierre, St Just and 20 other leaders in Paris. In fairness a temporary alliance with the ‘devil or his grandmother’ (Trotsky), i.e. with Yeltsin against Yanayev is clearly permissible in defence of life and limb and the WIL were closer to that principle but even they went some way towards accepting capitalist restoration in order to attain or preserve a non-class and unspecified ‘democracy’. Sometimes you must address your propagandas towards the working class in abstract, calling on them to rise in their own self-defence when all have abandoned the struggle for their interests, even from a bureaucratic corrupted, self-interested standpoint. Colin Roach died from a gunshot wound whilst in police custody in 1983. The fight for justice for Colin Roach and against racist police murders gained widespread support among the Black community and on the left in the years that followed. It is difficult to believe this is a typing error. Such quotes are almost invariable cut and pasted from Trotsky’s works online nowadays and the lack of a page number in the footnoted reference indicates that this was the case here. Clearly, having used the phrase in introducing the quote, he then altered the quote to suit his own political distortion. This is the point which Gerry Downing argued in Imperialism is the Main Enemy, Weekly Worker 726 Thursday June 19 2008, http://www.cpgb.org.uk/article.php?article_id=1001617 against Comrade Torab Saleth, former International Executive Committee of the USFI (United Secretariat of the Fourth International) who had attacked permanent revolution as being irrelevant today in a previous Weekly Worker article.